Above all I want to say that my life has always been lived with a view to doing things better and getting better. I’ve translated that into everything that I’ve done. While on the field Cruyff was in total control, off the field his life was more turbulent with a kidnapping attempt and bankruptcy. After retiring in 1984, he became a hugely successful manager of Ajax and then Barcelona when he won the Champions league with a young Pep Guardiola in his team. In 1999 Cruyff was voted European Player of the Century, and came second behind Pele in the World Player of the Century poll. In March 2016 Cruyff died after a short battle with lung cancer bringing world football to a standstill in an outpouring of emotions. 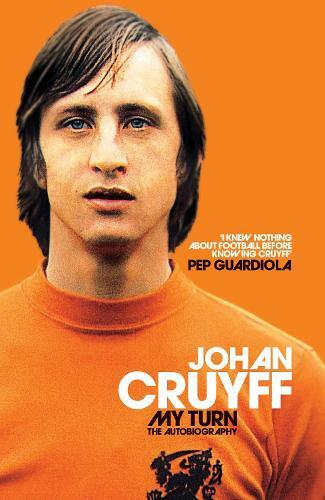 A brilliant teacher and analyst of the game he love, My Turn is Johan Cruyff's legacy.